Argentine Ants Linepithema humile are a non-native 'tropical ant' species which only survives in the UK within the warmth of buildings. They eat anything with individual colonies showing a preference for a particular food, normally something high in sugar but also taking meat. They are a difficult species to control due to their dynamic colonies and rapid reproduction rate. If crushed the worker ants emit a musty greasey odour. 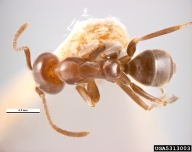 Being only 3mm in length with small mandibles and having no stings Argentine Ants are not much of a threat to humans. Their pressence is more an annoyance and they can cause wastage of food stuffs. There is the potential for these ants to spread pathogens moving from filth to food and work surfaces..
Argentine Ants are difficult to control. Due to the way in which the colony constantly splits with new queens moving off with workers it is almost impossible to completely wipe these guys out. Residual sprays will provide a relief in some areas and baits are also effective once you have discovered the colonies preferred food. 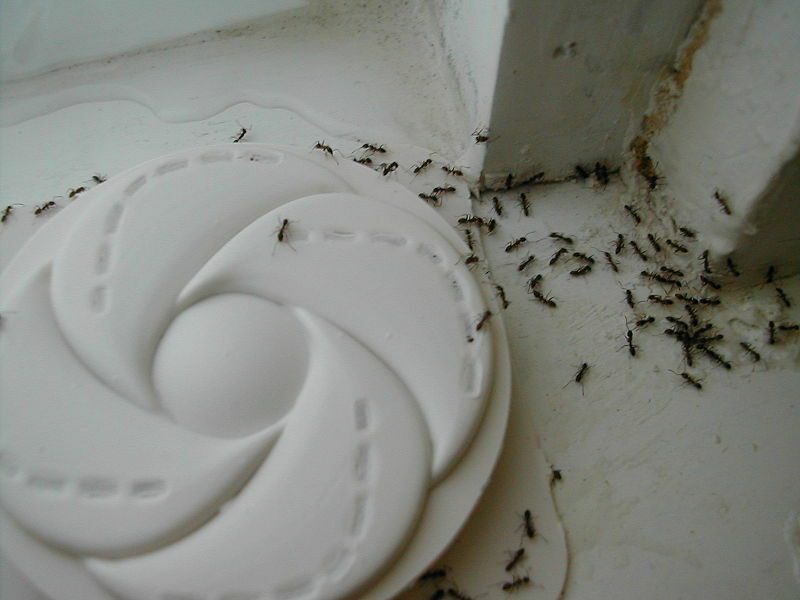 Argentine ants live in colonies with multiple queens and thousands of workers. The queens move freely between their own colonies and neighbouring colonies, often moving out with a number of workers to begin a new colony close by. Like all ants Argentines go through a full metaphoric cycle, first as eggs they hatch into larvae who are fed and cared for by the worker ants. The larvae stage lasts just over two weeks before pupation. The pupae stage lasts just eleven days and then a new worker of queen emerges to join the colony.